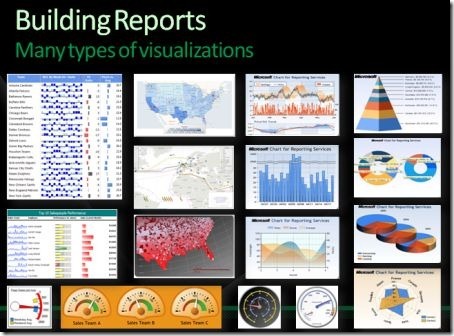 Tableau is great for its interactivity in dashboard while Microsoft SQL Server Reporting Services (SSRS) is great for its pixel perfect reporting. When we add them together, they are truly awesome! SSRS has a rich out of box charting library and a few 3rd party add-ons, e.g. Nevron. You can also use .NET drawing library to perform custom drawing in SSRS (Ref: http://blog.oraylis.de/2012/04/ssrs-custom-drawing-code). In addition, SSRS is able to use Google Chart API to render chart, such as Venn diagram etc. SSRS has powerful expression language support and tons of properties to precisely control the chart rendering and be able to export to various formats. TIFF, one of the output format, gives us the ability to prepare custom images, which can be used within Tableau as custom shapes. SSRS has another great feature, mighty “Data Driven Subscription” (be aware, SQL Server Enterprise Edition only!). Combining the image format export and data driven subscription, we can automate the Tableau custom shape image generation. In next blog post, I’ll show you how to add gauge charts into Tableau.